It doesn’t come as a surprise that Labor’s plan for the NBN, announced this morning by the Shadow Minister for Communications, Michelle Rowland, starts with a full-blown technical and financial review of the NBN. It is impossible to come up with any good strategy for the future of the NBN without a thorough review of its current financial and technical situation. Furthermore, Rowland announced that any future development of the NBN will be built on top of the current NBN — no 180-degree turnaround, as happened when the Coalition took over the NBN plan from Labor in 2013. If elected, Labor's approach will, first of all, bring stability to the NBN. 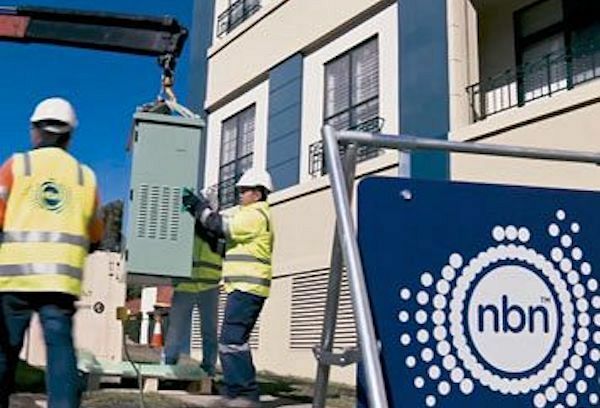 Based on the review, a range of options are going to be investigated, such as the financial situation of the NBN company, technical options such as the upgrade from fibre to the node (FTTN) to fibre to the curb (FTTC), splitting up the company, privatisation and so on. In parallel, the plan is for NBN Co to start a range of pilots to see what is involved in upgrading the network from FTTN to FTTC. So far, the work on FTTC has been concentrated on using it as an alternative technology for the Hybrid Fibre Coaxial (HFC) roll-out. Obviously, these outcomes will also be taken on board in the review and could have a major impact on the outcome of the final plan as to how to move the NBN into the next stage. Around the globe, the oulook over the next decade for fixed telecoms networks in developed economies is that, by 2030, 80 to 90 per cent of fixed networks will have been upgraded to FTTH and FTTC. While wireless can play a role in the overall plan, it will always be a minor one as, in the end, the economics for mass market broadband services favours fixed networks. At the same time, if elected, a Labor government will immediately address some of the ongoing problems such as the lack of uptake of the internet in general. Over a million people – mainly elderly – are still not connected to the internet and a program has been announced to investigate this problem, which should result in more people getting connected. This project could be linked to another important initiative that was announced around affordability. A Labor government will direct NBN Co to provide a low entry, affordable broadband package into the market. Recent changes in the wholesale price are squeezing a low-end package out of the market and this will be disastrous for the many people that can’t afford the higher speed packages. This is not the first time that these issues of access and affordability for certain groups in our population have been addressed, and some serious changes in strategy are needed to solve this problem. Just another education exercise will not deliver any different result. If the social and economic benefits to the country are such that it is important that all Australians need to have access to the NBN, then over time, we may even need to consider making access to the NBN free of charge — at least to certain groups of the population. Increasingly, people will rely on internet access when looking for jobs, to obtain social services and a range of healthcare, education and government services. The cost savings to the country of these people having access to the internet would be very significant. These new initiatives from Labor might be the first step in such a direction. Finally, $125 million will be set aside to solve some of the persistent cabling interference problems within people’s homes, which have a devastating effect on the quality of their broadband services. NBN Co indicates this is not their problem and the ISPs take a similar stand. To break through the impasse, the plan is to make money available to NBN Co to fix these problems. In all, this is a balanced plan. The most important part is the review, but it is also good to see that some of the immediate problems will be tackled as well. Not really. @MRowlandMP is taking the sensible approach, unlike @TurnbullMalcolm who rushed into a wholesale re-jig of the #NBN without looking carefully at the consequences. The mess he created cannot be easily fixed and will take some time.